Needless to say…it wasn’t the ideal opening day for our regular weekend customers! A few brave souls played through the light rain and chilly temps., but most likely all would have preferred a better start to our season. We’re restricting carts to cartpaths only this weekend, as too much damage can occur driving on turfgrass areas when conditions are this soft. I appreciate everyone’s cooperation during cartpath only days…I assure you we’ll go back to our standard “90 Degree Rule” just as soon as the fairways and rough firm back up. We’ve had just over .5″ of rain since it began falling yesterday afternoon. I certainly had no intention of waiting a full month since my last update, and for that I apologize. We’ve been extremely busy prepping the course for another season, but on top of the usual spring work/cleanup, the bunkers have received some much needed attention early in the year. 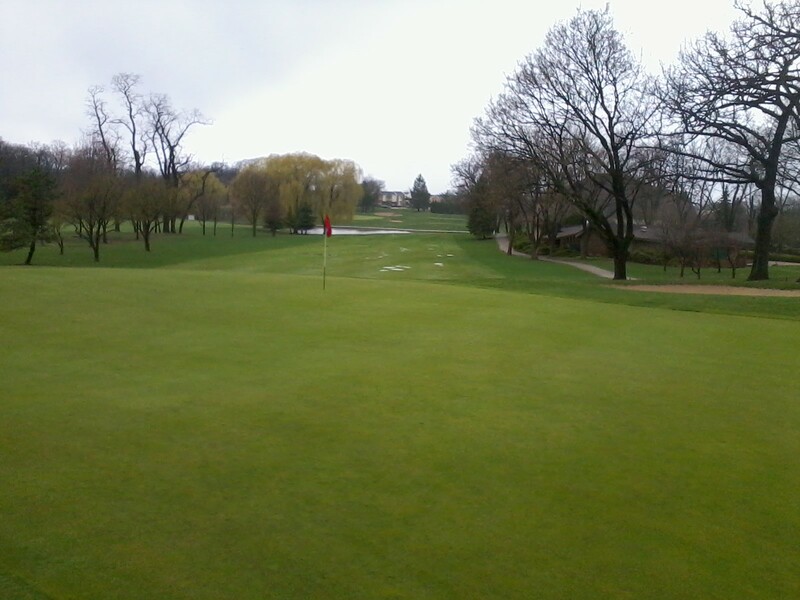 Thus far 2-4″ of new sand has been added to all greenside bunkers and we’ll start tackling the fairway traps next week. The goal has been to wrap up the majority of sand addition before mowing and other seasonal duties kick into full gear. My staff (who I can’t say enough good things about) has been paying special attention to firming up the new sand after it’s added to prevent “fluffy” lies. 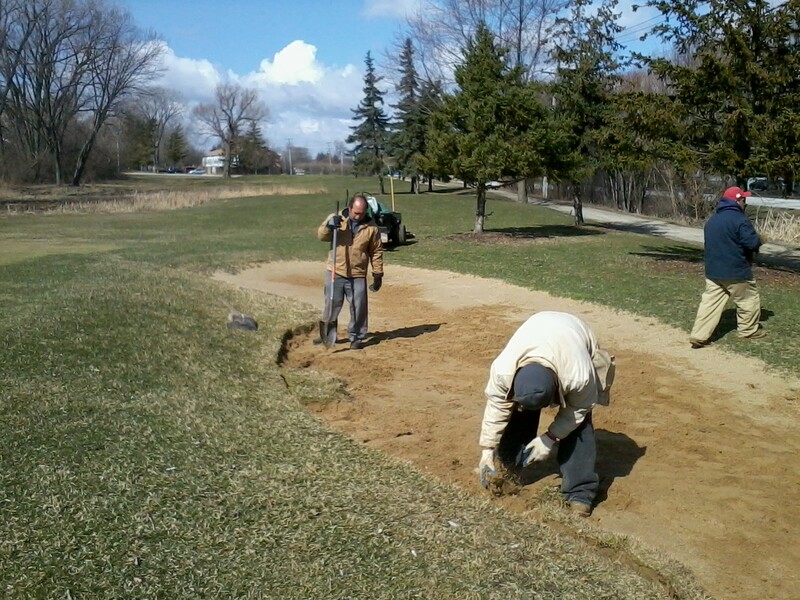 The picture below shows Juan, Jaime, and Ricardo working on the front left bunker of #16 Green. This entry was posted on Saturday, April 16th, 2011 at 6:35 pm and is filed under Uncategorized. You can follow any responses to this entry through the RSS 2.0 feed. You can leave a response, or trackback from your own site.